When your Lexus is in need of repair in Lakeland, MN, trust Lucky Dog Garage’s professional and experienced auto repair team! At Lucky Dog Garage, we are dedicated to earning your trust and building the loyalty of other Lexus owners just like you for years to come. 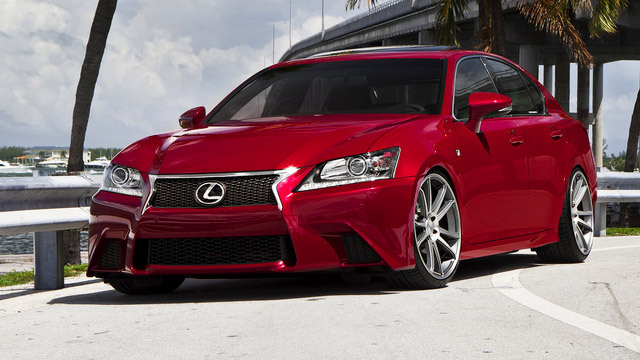 Whether you own a Lexus IS, ES, GS, LS, RX, GX, LX, CT or Hybrid, we can help. Because we have a top-notch team of certified, experienced, and adept technicians, we are able to offer repair service, preventative maintenance, and diagnostics on site. Lucky Dog Garage's commitment to excellence extends beyond servicing your vehicle; we make it our priority to ensure our customers are treated with the friendly service they deserve. The Lexus brand and name is world renown, and its reputation for quality, style, safety, and performance is unmatched. Lucky Dog Garage in Lakeland, MN can perform services ranging from oil changes to large repairs. It is always best to address repair and maintenance issues right away. Putting off small services and repairs can lead to larger issues which will cost a great deal of time and money in the future. Your Lexus deserves to be well taken care of, and Lucky Dog Garage is happy to help. Call Lucky Dog Garage today at (651) 427-3976 to speak with our knowledgeable staff or stop in at 130 St. Croix Trail N.Lakeland, MN 55043, Mon - Fri: 9:00 AM - 6:00 PM so that we can schedule an appointment for your Lexus vehicle.